In your professional life, you’re all about bringing more to the table. That’s why Freddie Mac is committed to offering you more. 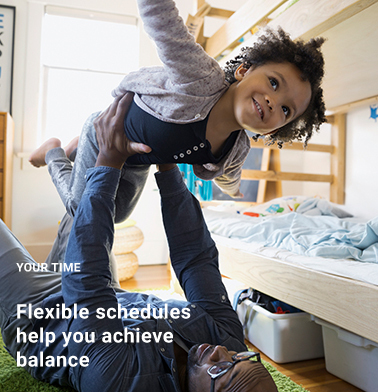 You’ll enjoy highly competitive and comprehensive benefits that you may customize to meet the unique needs of you and your family. 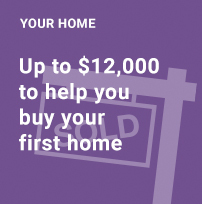 We offer eligible first-time homebuyers up to $12,000 toward their home purchase to cover such expenses as down payments and closing costs, plus paid time off for closing. We offer reimbursement up to $10,000 per year for grade-based and accredited college, university, or certification courses. 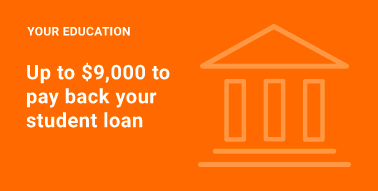 We will help pay down an eligible employee’s student loan by making contributions totaling up to $9,000 over a five-year period. We cover 75% of our employees’ public transportation commuting cost up to $255 a month. We offer eligible employees flexible work arrangement options that include teleworking, alternative work schedules, and part-time work. Our home campus offers a modern, contemporary flair with sun-filled lobbies and park-like patios. Employees enjoy on-site amenities that include convenience stores, dry cleaning, mail service, and nearby public transportation. We support a casual dress code. We offer medical, dental, vision, and life insurance coverage for domestic partners, as well as their eligible children. We offer paid leave for new mothers, fathers and adoptive parents, caregivers and domestic partners. We offer new mothers a lactation program to support their return to work, including lactation rooms, education classes, telephone support and a return-to-work consultation. We offer near-site back-up child care and in-home back-up child and adult/elder care. We offer reimbursement up to $30,000 for eligible employees who adopt a child. We offer flexibility with several medical plans to choose from that include POS plans, a consumer driven healthcare plan with a health savings account (HSA), and HMO style plans that provide coverage for doctor visits, hospitalization, prescription drugs, and more. We offer dental coverage for employees and eligible dependents for a wide range of dental services. We offer vision coverage for eye exams, eyeglass frames, lenses, and contact lenses. 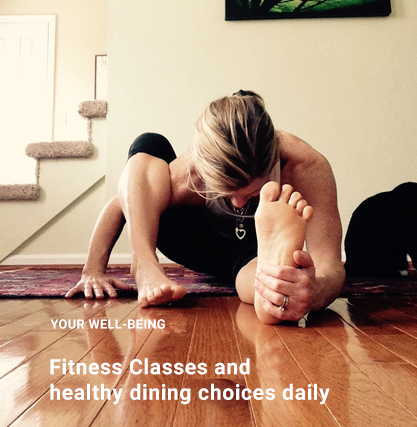 We provide a variety of programs to assist employees in managing health, stress and more, including healthy dining choices in the home office and wellness incentives. We provide employees and their families on-site, 24/7 access to counselors who provides free, confidential assistance to help cope with problems that affect your well-being. We offer an on-site fitness center at our home campus, and Health Club reimbursement for regional employees. We provide an on-site medical team at the headquarters office in McLean to provide urgent and preventive care services at no cost. A registered dietitian provides personalized nutrition advice. We offer a 401(k) Savings Plan that is available to employees shortly after they are hired and provides a 100 percent company match, up to the first 6 percent of pay, and a company contribution equaling 2.5% of pay after one year of service. 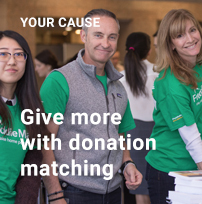 We encourage and support giving back to the community and we match employees’ charitable contributions dollar for dollar, up to $5,000 each year. We offer automatic life insurance coverage at one times annual base pay with the option to purchase additional coverage. We also provide accidental death & personal loss, and business travel accident insurance. We offer employees protection from the unexpected with short-term and long-term disability plans. We offer between 15 and 20 core vacation days based on level and years of service. Employees may purchase additional vacation time beyond the core accrual after the first year of employment. We observe eleven scheduled federal holidays and two discretionary holidays each year. We offer full-time employees eight days of sick leave per calendar year with the ability to carry over seven days of sick leave each year. We offer employees up to ten days of paid leave for the death of an immediate relative or household member and 5 days of paid leave for extended family members. We offer employees leave for jury duty or to comply with a subpoena or court order. Employees are entitled to take leave to serve in the Uniformed Services consistent with the requirements of the Uniformed Services Employment and Re-Employment Rights Act. The continuation of benefits during leave and the right to be re-employed upon completion of such leave depend on a number of circumstances, including the duration of the leave. Employees may take up to 12 weeks of unpaid leave for a serious health condition or to care for an eligible family member. We offer up to 180 days of paid leave for employees that experience illness or injury. We offer employees two hours of election time off.